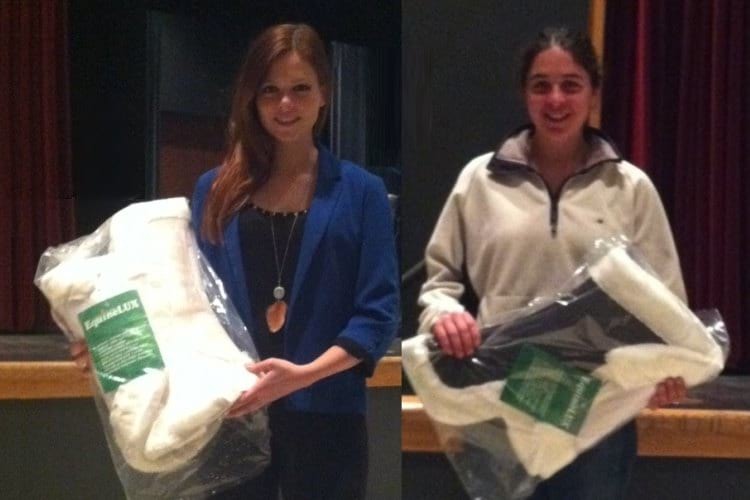 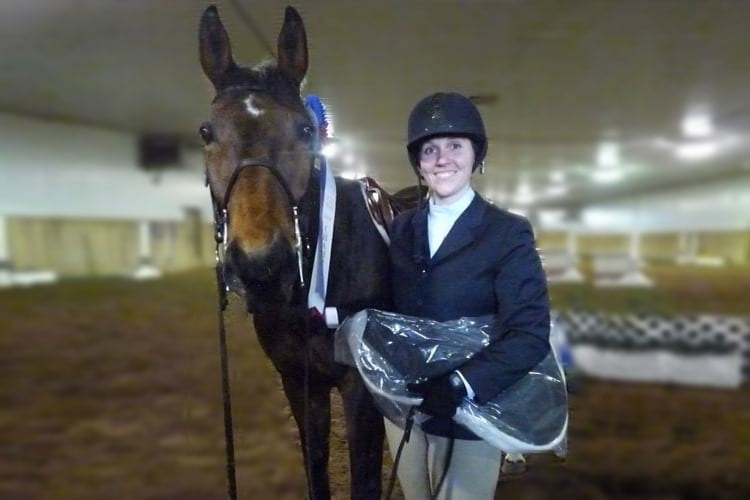 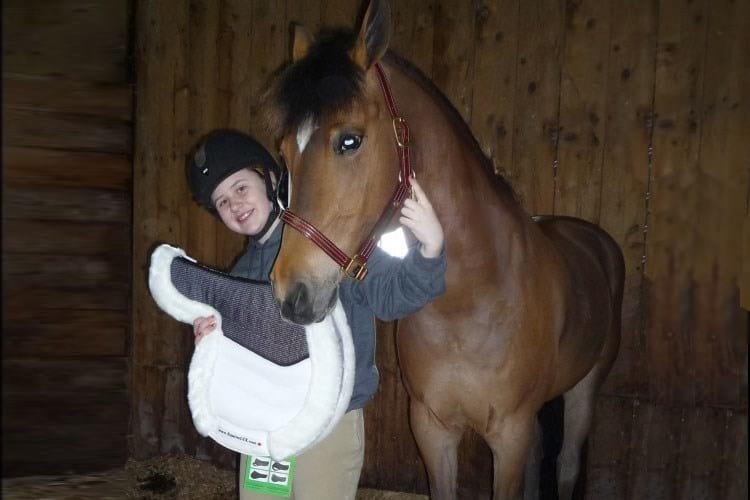 ❷ Non-slip mesh upper assures perfect grip and steadily secures the BufferLUX Jumper half pad under the saddle. 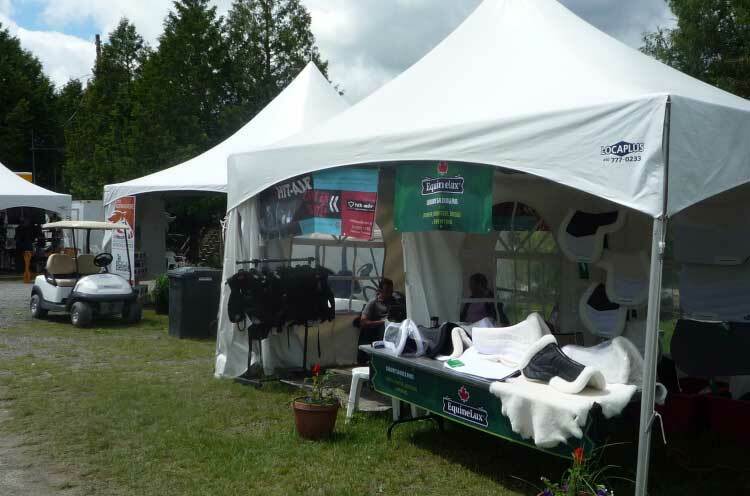 ❸ Two-color design is versatile and practical. 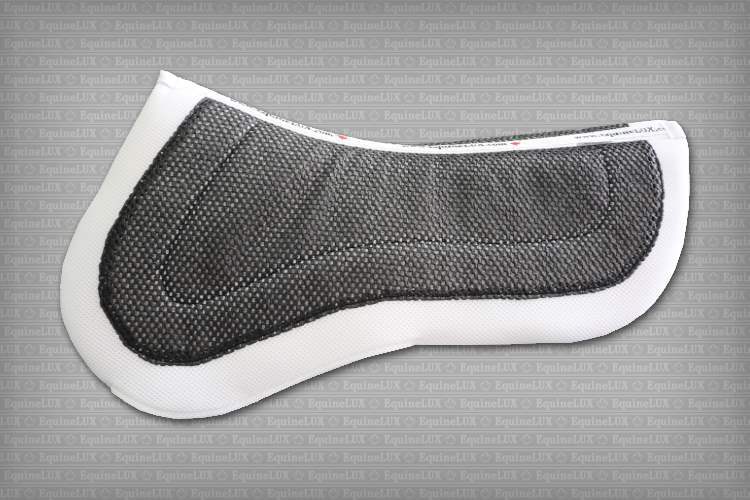 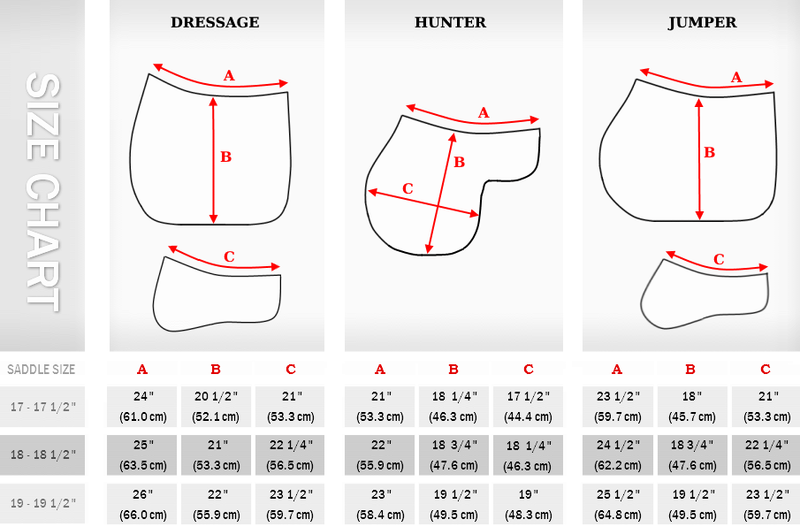 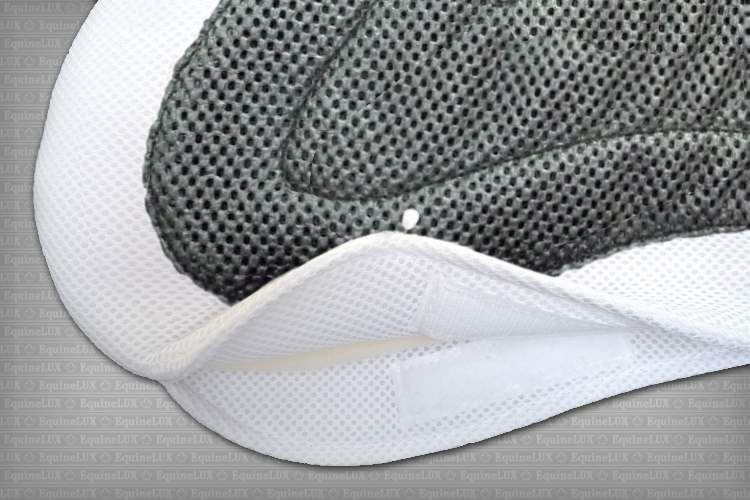 The black non-slip mesh is not visible under the saddle, conforming to the FEI rules and regulations. 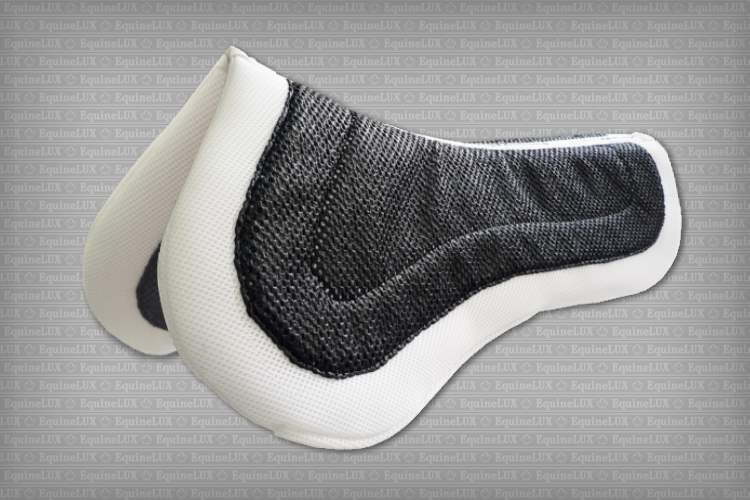 ❼ A special knitted structure of the 3-D SPACER textile allows BufferLUX Jumper half pad to dry out fast, protecting sheepskin against mold/mildew growth. 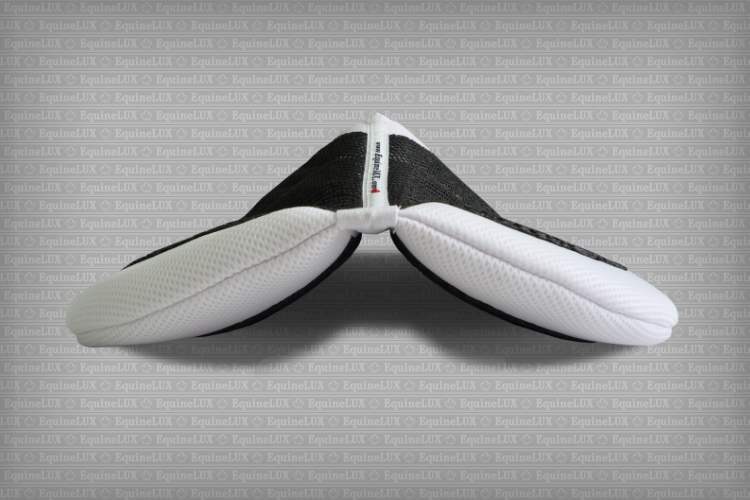 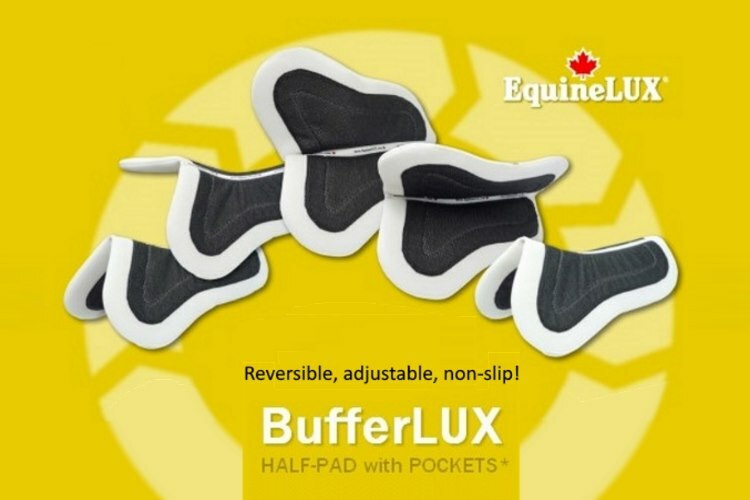 ❽ BufferLUX Jumper half pad can be used both with and without shims.